In today’s culture of increasingly disposable electronic music, it can sometimes feel as if we’re losing track of the singular role of the artist. If a producer puts out one bad track or makes a PR faux-pas it can turn legions of fans against him, while the glut of freely available music on the internet makes it all too easy to switch allegiances. Burial is one of the few remaining artists who inspire true dedication: fans are willing to trust his vision, and to wait patiently as he expands and explores his unique sound. The flipside of this is that William Bevan must bear the heavy responsibility of expectation, and on the eve of his second release this year, the trigger-happy judges of the internet waited with baited breath to either exalt the producer’s brilliance or else to decry his loss of artistic vision. The truth of the matter lies somewhere in the middle ground, a space rarely occupied by those intimately acquainted with Burial. Having exceeded even the highest expectations with the superb Kindred EP, the follow-up isn’t really better or worse. It’s different, and how much the listener likes it is inevitably going to come down to individual taste. This single marks the return of Kindred’s longer, more experimental pieces, particularly picking up on the career-defining Ashtray Wasp, a closer that enthralled the harshest critics with its adventurous rhythms and convention-defying structure. These two new pieces, notching up 25 minutes of runtime between them, feel more like loosely connected musical suites than tracks; impressionistic collages of sketches and ideas. This sense of adventure ultimately proves a blessing and a curse. While these are some of Burial’s most cinematic pieces, taking the listener on a powerful journey, it could also be argued that the meandering structures result in a critical loss of momentum that detracts from the release as a whole. Although many elements of the core Burial sound are still present, Truant b/w Rough Sleeper marks a few changes in the producer’s style. These pieces take a more involved interest in the lower frequencies, with rumbling sub-bass often leading the way for those familiar shuffling woodblock beats and frayed ghost voices. This release also takes a step towards the lo-fi; the cannibalizing static of the Kindred EP makes a noticeable return, it often seems as if these sounds are fighting to make themselves heard. Luckily, all these peripheral atmospherics are deployed with a deft confidence that means that each rolled snare and bluster of static wind is perfectly placed and balanced. Each track takes the listener through several distinct phases, and this compositional style is largely successful. After an example of Burial’s vocal sampling at its most lucid and emotive, Truant leads with synths and atmospherics that emerge and recede over an impressively textured shuffling beat. These restrained sounds prefigure the dramatic midway switch, where epic synths (epic, that is, by Burial’s standard; these sounds still suit the melancholic monochrome) provide a lifting-off point for the listener, before a deeper deconstruction, reminiscent of Actress’ most devastating sketches, takes the stage for the song’s final minutes. It’s a piece with impressive moments but one could contend the dramatic stop-start structure causes a loss of momentum, and it feels at some points like Truant gets lost along the way. The same is not true of B-side Rough Sleeper, where the digressive structure proves essential to the track’s power. Opening onto a relatively lush soundfield, a minimal 2step beat keeps time under echoing fragments of soulful vocals. This track works better because those dramatic moments are more emotive, the surprises are more inspired (just listen to that brilliant saxophone that harks back to the genre’s roots). The second half marks a real departure for Burial; an ascending major chord melody and pretty chimes are the closest that Burial’s city-at-night soundtracks have ever got to direct sunlight. Rough Sleeper is the more emotive of the pair, and feels more organically structured. Although Truant’s disconcerting drop-outs lead to an impressive claustrophobia, the track just won’t leave the same impression as the B-side. 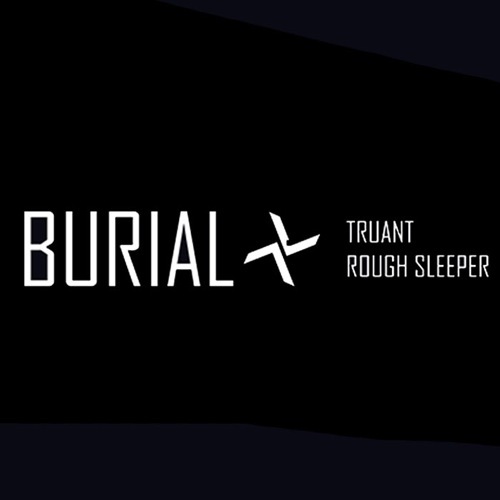 When most fans expect dramatic innovation between LP releases, it is pertinent to question whether Burial’s continued interest in grainy 2step and floating vocals is perhaps a little safe at this point. It’s an important question to ask, but it’s unlikely anyone will ask Burial to change on the basis of this release. His music has always had a rare power to create deep personal resonances for people from many walks of life. There’s a universality in the broken loneliness of his music that means his style is far from tired, especially when one considers the ways he continues to challenge conventional musical structure. If you can’t fault him for zealously guarding his sonic palette, perhaps one criticism that could be levelled at this release is that it doesn’t always feel coherent. There are definite advantages to the length of these tracks; the listener can anticipate favourite sections, because there is an awful lot to love here, while the stop-start dynamic gives a sense of a contingent musical universe that we, as listeners, are merely dipping in and out of. On top of that, the sudden drop-outs are disorientating: in Truant with each silence the listener is repositioned with respect to the sound, and is forced to locate themselves, to actively process the music rather than just passively listening. But at the same time, both of these tracks are seriously lacking in the kinetic momentum of Burial’s earlier work, and the meandering nature of the sounds, particularly in Truant, sometimes makes it feel like the track is jumping from place to place without ever really hitting home. Among the threatening static that cannibalises the close of Truant is a sample from one of Burial’s earliest releases, Wounder. It’s an interesting move that makes you look back and think about how far Burial has come as an artist, from a Hyperdub upstart to one of the most universally acclaimed musicians of the decade. The interest in musical deconstruction started to become apparent in the aggressive vinyl hiss of the Kindred EP, but with this sample it is taken to the next level; a deconstruction of Burial’s musical past. Each consecutive release has ventured further from the dancefloor that birthed his style, but it feels that with this release Burial has taken a noticeable step towards the cerebral. There is very little for the dancefloor here. Yet these tracks are fascinating in their defiance of genre convention, and impressively supply moments of breakthtaking intimacy juxtaposed with a guttural, all-consuming static. These might not be the best single tracks that Burial has ever created (although Rough Sleeper makes a serious claim for the top five), but as long as he stays his course, experimenting both inside his music and without, he’s unlikely to lose his ardent and well-deserved fanbase. It’s gratifying to know that there are still adventurers out there, and if one can stay on top of his game for almost a decade, mining the past while looking to the future, and still produce beautiful music in the process, it’s hard to feel anything but a sense of pure wonder.